There are several major composers whose music I admire, respect, and even enjoy after a fashion, but who don't move me emotionally. After 40+ years of careful listening, I still can't understand why. One composer who leaves me cold is Felix Mendelssohn. From what I've read, I would have liked him as a person. I admire his sunny disposition and his moral character. But I'm never moved by his music. Mendelssohn strikes me as too facile, too glib, almost too accomplished, but utterly lacking in emotional depth. He's technically assured and a master of melody. He seems to me, however, to be a Classicist parading in Romantic clothes, not really comfortable in either world. I'm not automatically drawn to the "serious" composer; I practically worship Haydn, for example. But in the case of Mendelssohn, it seems like there's no "there" there. To repeat, I respect and admire Mendelssohn, but he does nothing for me. Pleasant, yes, but that's about all. I wonder why that is. If anyone else finds this subject interesting, this thread will probably expand into other composers. I would like to read some more comments about Mendelssohn, though. Hmm ... personally, I could not live without the music of Mendelssohn. I have re-read your post a number of times trying to pick up on some of your points. You might give his Elijah a careful listening some time in the future. I almost hate to say this, but I prefer his oratorio to Handel's magnificent Messiah, which I would also not want to be without. Mendelssohn's harmonies, use of the chorus, and symphonic structure is simply incredible and I would, personally, rate this as his magnum opus. Then there's the piano concertos, both of them, along with the concerto for piano, violin and strings - all of which are true masterpieces. 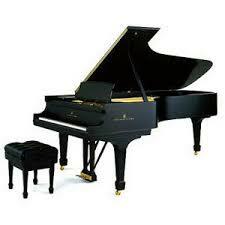 The piano trios and exquisite works, too, that have long been popular with among the world's finest performers. His Songs Without Words are gems in their own right. Mendelssohn was a most communicative composer, lover of life and people, and, as you said, he possessed a sunny disposition that comes through much of his music. If music is to delight, charm, inspire, and cover so many humanistic elements and wonts, he seems to have them in abundance. You are, of course, entitled to your opinion on his music, but you may be missing out on some of music's greatest writings (think of his Italian, Scotch or Reformation symphonies!) and even his contemporaries held him in the highest esteem ... Liszt, Chopin, and even Schumann, who was one of the most difficult to please. There's something about Mendelssohn's style that makes one immediately recognize that it is his alone ... a special imprint that is unmistakable. He seems to have emulated no one, so great was his power of creativity. For me, Mendelssohn ranks in my Top 10! I love the idea for this thread! That's exactly why we're all here, and I certainly respect your thoughts and comments. Lance, I'm thoroughly familiar with all the Mendelssohn works you mentioned. I agree thoroughly with everything you say -- intellectually. When it comes to the actual experience of hearing his music, however, I can take it or leave it. My reaction time and time to Mendelssohn has been, "Well, that's nice." It's a mystery which I can't explain, and it bothers me! Maybe I'm overanalyzing. I too, wouldn't want to be without Mendelssohn, but it probably wouldn't bother me if I never heard his music again. One of my personal rules of thumb is, "Am I ever drawn to X composer's music on my CD shelves? Do I ever feel the compulsion to put Mendelssohn on the player?" Sadly, no. Perhaps these very personal reactions can never be explained. I am glad I'm not alone in this feeling of lack of resonance in Felix M. As a young lad I thought Fingals Cave was sublime and the same was true of the three big sympgonies when I was grown up. But it all paled for some reason. The exception were his various settings of the Psalms. I had several recordings of Michael Corboz and the Vocal and Instrumental Ensemble of Lausanne and some by the Gulbenkian Chorus and Orchestra. I love these pieces, his choral writing is to my mind exalted. Part of my affection for these recordings must be laid at the feet of Michael Corboz. He was, at the time, to choral music what Neville Marriner was to chamber orchetra at the height of his releases with the Acadamy of St. Martins in the fields. I have always felt that if you had a recoording of one or all of the symphonies done by the Leipsig Gewandhaus you had reached the top. He conducted that same orchestra and to this day it can outdo anyone in the performance of that music. Corboz for the choral music and the LGO for the orchestral and I'd agree with Lance, for anyone else I agree with Frank. After many years of listening I think we have to start trusting our own instincts, even though I have several that I also find hard to accept. I don't like not appreciating Mahler or Bruckner, and have tried many times, but it just does not seem to click. And I'm anaylitical enough to be able to offer a reason, but I decline to do so here because I do not wish to get into that issue with other posters whom I deeply respect. It is hard for me to understand any poster who does not appreciate Mendelssohn, though obviously I must respect that just as I ask you to respect my peculiar dislikes. One problem with Mendelssohn is that he did not sort himself out the way Mozart did. There was never a period in his career where he was not still writing the occasional klunker, and many of his great works are at least slightly marred by passages that leave us scratching our head at their inferiority. We want our great composers to be perfect all the time, because at least several of them appear to be so after achieving a certain stage in their career. In my opinion, we must turn a blind eye to these flecks of imperfection in Mendelssohn and concentrate on what is great in his music, which is still a very great deal indeed. I agree with Frank that the music of Mendelssohn is enjoyable but not deeply moving for me. Perhaps it was because Felix was born with a silver spoon in his mouth and didn't have enough challenge in his life to develop depth and power. I can't agree about Mozart though. Wolfgang's music deeply moves and thrills me in his best works. Schumann called Mendlssohn the Mozart of the nineteenth century. I can see the validity of that but what a difference in the level of greatness. Mendelssohn might be "glib" at times but it's a glibness that attracts me. I just listened to his Symphony No. 4, "Italian," yesterday and its sunny lightnesss made me smile as it always does. I also think Mendelssohn's chamber music is underappreciated although I haven't a clue why. Mendelssohn and Mozart both have the same effect on me as you, Frank. You're not alone. I am not familiar with all the music Mendelssohn wrote, but certainly his Italian Symphony, Violin Concerto, Piano Concertos 1-2 and the Hebrides are all masterpieces. If one doesn't like Mozart and Mendelssohn because their music is filled with beautiful melodies, it's easy to think of both of them as similar. It wouldn't be different from disliking counterpoint and thinking Bach is not much better than Handel. But in both cases the comparison is inappropriate; Mozart is way above Mendelssohn (and Haydn for that matter, another composer often inappropriately compared with Mozart). As a composer, I think it's safe to say that Mendelssohn was a failure. Not that he wasn't very good, which he was, but he failed to develop his musical language, to explore deeper emotions. Had he written better things than the octet and the overture to A Midsummer's Night Dream, he would be among the top 5 or 6 composers of all time. But he's still very good and thoroughly enjoyable, though seldom much more than that. amadeus wrote: Mozart is way above Mendelssohn (and Haydn for that matter, another composer often inappropriately compared with Mozart). Careful when you belittle Haydn. I view Haydn and Mozart as equals, and Mozart supposedly said that Haydn was the only composer around who was as good as he was. The mutual respect and influence between these two composers in one of the most glorious episodes in musical history. Haydn was not literally the father of the symphony or the string quartet, but his importance in the development of both forms cannot be exaggerated. Moreover, Haydn had a vast spring of melody, cheerfulness and vitality. This, coupled with his expression, sense of drama and development, makes his work as a composer second to none. As the court composer for Prince Nicolaus Esterházy for nearly 30 years, Haydn was "compelled to be original," with his master's full approval. Haydn and Mozart held each other in the highest esteem. MaestroDJS wrote: Careful when you belittle Haydn. Well, no one is belittling Haydn, but for some reason he's not nearly as popular or respected as Mozart. Haydn is quite popular and quite respected, but not nearly as Mozart. I don't know in what sense you think they are equal. You wrote a lot about Haydn's influence, and in that sense he's superior to Mozart. Mozart never invented a form of any importance, his greatness comes from excelling at existing forms. But I personally find nothing relevant about inventing forms; the fact that Haydn invented the symphony is as relevant to music as the fact that the Chinese invented paper is to literature. In my opinion anyway. If you love the music of Schumann, Chopin, Liszt, Alkan and myriad others from this period, and don't find anything redeeming in the music of Mendelssohn, then I agree, it's probably something within you, just like I experience these same feelings with the composers mentioned above. No one composer, actor, poet, performer, painter, movie producer, etc., et al, is going to appeal to every one of us the same way. I know people who think the work of Rembrandt is trash! Sure, I raise my brow, but their opinion has been (rightly or wrongly, based on ...?) formed and it probably will never change, though it maychange eventually. I actually know people who don't like the way Artur Rubinstein interprets Chopin. It's difficult for us to assimilate this, but it is fact. Speaking of Mendelssohn's oeuvre, another work that we don't hear too often—at least not on the concert stage—is his Symphony No. 2 in B-flat, Op. 52 "Lobgesang"  (for two sopranos, tenor, orchestra and chorus). Agreed, it's a very longish symphony, but there are some golden moments therein, such as the duet for two sopranos. As a piano student growing up, I had to learn many of the Songs Without Words, and was immediately inculcated with the idea of how to make the piano 'sing' in this kind of repertoire. Being a song without words, the pianist had to find the melody and accompany himself at the same time. Mendelssohn was a teacher perhaps without even knowing it. (I'm sure he knew, however.) Huge gems these may not be for many people, but they are considered by leading pianists as "small diamonds" that have a special sparkle of their own. There's a Prelude and Fugue in E-flat (if memory serves) by Mendelssohn that is the work of a genius and is a much-neglected masterwork for the piano. The Variations sérieuses is another masterful work that has been performed by Horowitz and others of that ilk, and it's a work that is still considered a staple item of the virtuosic piano literature. So, in the end, you either like Mendelssohn enormously, take him lightly, or not at all. I consider him to be as much of a genius as Mozart or Haydn, but in a different vein, as he was, after all, in a different time. And to Mendelssohn, who converted from Judaism to Christianity*, he resurrected the music of JS Bach, especially the great Christian masterworks in the passions and cantatas. I think we music lovers owe him a great deal and not just for his own music, which in itself, is fine enough for him to be placed on his own pedestal. * Those interested in Mendelssohn's conversion may want to read a book that our E. M. expert—Corlyss M. Drinkard—put me on to: The Price of Assimilation - Felix Mendelssohn and the 19th Century Anti-Semitic Tradition by Jeffrey S. Sposato. In the end, perhaps you will determine that Mendelssohn may not have converted as we think except to be "accepted" more in those times. There remains a lot of conjecture about this. Last edited by Lance on Mon Feb 27, 2006 6:10 pm, edited 1 time in total. Con-trov-ersy! Nothing like it to keep a board chugging along! I'm with Lance on this one. Mendelssohn is facile and ingratiating and complex without being daunting or discouraging. I really like him. And his output is diverse and not constipated like so many who navel-gaze, ooze out their compositions, tear up half that output, start over, and make listening to them an ordeal. But in the end de gustibus rules. Life's too short to spend it listening to composers that turn you off just because they possess attributes that will never get them in your vestibule. However one's individual reactions may vary with regard to Mendelssohn, I don't believe anyone here would deny his importance as a part of the grand procession of nineteenth-century masters in the German-Austrian culture. And even if some of us may think fist of other names in that tradition, there conmes the time when hearing Mendelssoh conveys a sense of freshness and brightness that is its own reward. Werner wrote: However one's individual reactions may vary with regard to Mendelssohn, I don't believe anyone here would deny his importance as a part of the grand procession of nineteenth-century masters in the German-Austrian culture. And even if some of us may think fist of other names in that tradition, there conmes the time when hearing Mendelssoh conveys a sense of freshness and brightness that is its own reward. May I be half as wise and eloquent as you are when I am as old as you are. May I be able to express myself in my native language half so well as you do in a language that is to you a second language, however distant the memory. I didn't really mean to damn Mendelssohn with faint praise. I am enjoying the new recording of the "Scottish" and "Italian" Symphonies conducted by Roger Norrington. Felt obligated to purchase them, don't you know. I also remember a marvelous performance of the Octet by the Academy of St.-Martin-in-the-Fields Chamber Ensemble in Memphis several years ago. The scherzo was fleet and as light as a feather. Maybe Mendelssohn's innate intimacy makes him more memorable live than on recordings. Kurt Masur has made excellent recordings of the 5 mature symphonies with the Gewandhausorchester Leipzig. This is appropriate because Mendelssohn was associated with this orchestra. His "Scottish" and "Italian" Symphonies are well known, but the other 3 are well worth getting to know. Many pleasant surprises. The string symphonies are fascinating early works too. Mendelssohn was a tireless reviser until he was completely satisfied in his pursuit of expressiveness, economy, and panache. A friend once commented on his extreme self-criticism, and Mendelssohn replied: "In everything I have written down there is at least as much deleted as there is allowed to stand." Therefore he refused to publish a surprisingly large number of works, which were eventually published only after his death. Perhaps the main reason Mendelssohn doesn't get the credit he deserves is due to the fascinating but often wrong-headed musical criticisms by George Bernard Shaw. He was one of the finest writers in the English language, but unfortunately Shaw heaped scorn upon Mendelssohn, and I don't think Mendelssohn has ever fully recovered from Shaw's attacks (Shaw also highly praised some composers who are now forgotten). my name's Dan, i'm a student(not music) from Vancouver Canada, and have been actively listening to classical music for a year and a half. I've had an amazing time listening to all this great stuff. anyway, regarding Mendelssohn, I think he's a very good composer, and I give him a lot of credit. For me, his music is always effortless even if it doesn't reach Beethoven. I do love his the "air" that always floats through his music. I remeber not warming to the Italian that much, but after a while, I realised how easy and relaxing and beautiful it is, even if its not one of the greatest symphonies. Hi Dan ... thanks for joining the CMG board! We hope your visits here are pleasant and that you come as often as you can. Please let us know how the classical music part of your life is going and what you're listening to, especially any discoveries you make along the way. I know it's easy to make comparisons, Mendelssohn/Beethoven, Schumann/Brahms, and other greats. But that's just it, they're all geniuses with special creative gifts. I don't think it's necessary to "compare" one against the other but to just accept what each has to offer. Nobody doubt's the genius of Beethoven, Mozart, Bach, Haydn, etc. They have survived the test of time, as has Herr Mendelssohn and Herr Dittersdorf. Just enjoy the music and let it take you where it may! Mendelssohn's greatest technical weakness was rhythm. This is perhaps least noticably in many of the chamber works, especially the string quartets - considered by at least a few musicologists as being the "best written" since the time of Beethoven (hmm. ..practice makes perfect---all those string symphonies from his teen-years!). While I find certain works quite facile (e.g., both piano concerti, a few overtures, the "Italian" Symphony), a good deal of this fine composer's music scales the heights: parts of "Elijah", the finale of the Fifth Symphony, the immortal Violin Concerto in e minor, quite a few chamber works and the charming "A Midsummer Night's Dream" music. While Mendelssohn's style is rather original, it does reflect influences from Spohr, Weber and even Beethoven on occasion... all composers he greatly admired. And (without mentioning any names) his music is always honest, without pretense to false greatness, plodding sameness or posing. For my particular appetite for emotional music, Mendelssohn comes roughly into my "top 20". He just lacks that absolute passion of burning expression that was a Handel, Bach, Mozart, Beethoven, Schumann or Wagner. For those who equate emotion and expressivity in music with angst and turbulence, Mendelssohn will always remain a closed book, as will Haydn. For those who respond to logic and order (such as I do), Mendelssohn will always be a wonderfully warm and human composer. In addition to his technical mastery Mendelssohn possessed the most important thing a composer can have, a distinct musical personality. Hello, Dan, and welcome. By any chance are you at UBC? If you are, do you know Professor H.K. (I hesitate to write his name out because message boards are searchable.) He was a great friend of mine in grad school. ichiro wrote: Yes I am at UBC, but i unfortunately dont know HK. I have met Jane Coop, an exceleent pianist in western canada, and a few of the other profs but that's it. other general note, can anyone recommend any recordings of the mendelssohn piano concerti? Ah, Jane Coop. I had the pleasure of meeting her prior to a concert in Toronto and interviewed her for a radio broadcast. I have all of her recordings, which I enjoy enormously. If you see Jane, please convey my greetings to her. Regarding Mendelssohn's two piano concertos, one you might want to acquire is pianist Rudolf Serkin's on Sony Classical . No. 1 is with the Columbia Symphony and No. 2 is with the Philadelphia Orchestra. Both are conducted by Eugene Ormandy. This seems to have become the hallmark recording of these two works. Serkin is in top form and puts everything he's got into the recordings. They literally sparkle. Actually, these were released on a budget-priced Sony CD , which also includes the Mendelssohn Violin Concerto with Isaac Stern with Ormandy conducting. That can be had for about $8/USD and a far better bargain. A more contemporary recording—and an outstanding one—is on Decca/London [468.600] with Jean-Yves Thibaudet, pianist, with the Leipzig Gewandhaus Orchestra under Herbert Blomstedt. Thibaudet's disc includes two favorite solo works: The Variations Sérieuses and the Rondo Capriccioso. There are many other recordings of Mendelssohn's piano concertos, but these would fill the bill for you very nicely IMHO. I think I can relate better than others here to what Frank is saying. For many years, Mendelssohn held no special spot in my listening habits. Yes, the 3rd and 4th symphonies, Midsummer Night's Suite, Hebrides all got spins on my turntable but I never really loved them. Now the Octet was a whole 'nother matter. It's gripping from beginning to the end. But in recent years, I have enjoyed exploring him more. Frank, I really recommend his piano trios that are more like the Octet than the symphonic works. But meanwhile what is it that keeps Frank (and myself somewhat at bay from loving this guy? ?...it can't be his melodic writing because it's certainly good enough and his harmonies are quite standard for its time. Perhaps it's the fact that his Romantic music is still somewhat forced into Classical models that were essentially outdated by his time that in turn creates a restrained type of style that other Romantics were not bound to and therefore their music takes greater imaginative flights. johnQpublic wrote: But meanwhile what is it that keeps Frank (and myself somewhat at bay from loving this guy? ?...it can't be his melodic writing because it's certainly good enough and his harmonies are quite standard for its time. Perhaps it's the fact that his Romantic music is still somewhat forced into Classical models that were essentially outdated by his time that in turn creates a restrained type of style that other Romantics were not bound to and therefore their music takes greater imaginative flights. The more I think about it, the more I'm right with you, JohnQ. I adore Schumann and Liszt as true Romantics. Brahms has passion; he's always on fire, even with his self-imposed restraints of form and structure. For me, Mendelssohn kind of falls through the cracks, 19th-century speaking. Actually it's his mastery of classical forms that attracts me to Mendelssohn. And he takes plenty of liberties with them, as you can hear in the op. 12 and 13 quartets. 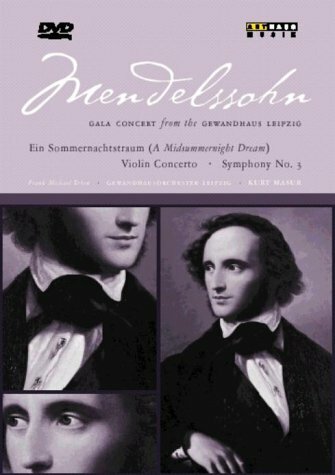 I think what makes people keep their distance from Mendelssohn is not that there's something out of date about his form, but rather the opposite. His style became the template for just about every composer of the mid 19th century, and every British composer straight through to the end of the century. Listen to your Joe Blow plain vanilla 19th century composer and he's writing like Mendelssohn, only not as good. Some of Mendelssohn's lesser efforts have the same plain vanilla flavor to them. But just as a fine home-made vanilla ice cream is standard by which ice creams are judged, Mendelssohn's best efforts represent the cream of 19th century romanticism. Talking of the two piano concerti, there is another recording, also by the Gewandhaus Orchestra, this time under Masur, with Katsaris. that has all thevirtures Lance has found in Katsaris' art. And he HAD as perfect and effortless a technique as any composer who ever lived. Werner wrote: Talking of the two piano concerti, there is another recording, also by the Gewandhaus Orchestra, this time under Masur, with Katsaris. that has all thevirtures Lance has found in Katsaris' art. Gary: This does not seem to be the same issue that I have. Mine is limited to the two concerti with opus numbers - it does not have the A Minor concerto with the Liszt Orchestra. Whether it has the same performances, I'm not sure, although on the one you cite, Masur and the Gewandhauausorchester are also heard with Katsaris. Instead of the A minor concerto, my CD also features the Capriccio Brilliant in b minor, op. 22 - with the same performers. I have your edition as well, so I can assure you that the mature concertos are indeed from the same performances in both. FrankAderholdt wrote: I adore Schumann and Liszt as true Romantics. Brahms has passion; he's always on fire, even with his self-imposed restraints of form and structure. For me, Mendelssohn kind of falls through the cracks, 19th-century speaking. You may be adoring Schumann (or Liszt) for the wrong reasons. Berlioz, Liszt and Wagner were the "true" Romantics; Schubert, Mendelssohn, Schumann and Brahms were the "pure"* or classical Romantics. Even if Mendelssohn and Brahms don't always possess the passion of a Beethoven or Schumann, they DO have their own qualities, as differentiated as they are. Brahms admired Mendelssohn's works and placed him quite high among the masters of the past. Although Brahms admittedly disliked program music, he very much enjoyed the "Fingal's Cave" ("Hebrides") Overture. Speaking of Masur and the Gewandhausorchester playing Mendelssohn, here is a DVD that one should both see and hear. Brahms admired Mendelssohn's works and placed him quite high among the masters of the past. Although Brahms admittedly disliked program music, he very much enjoyed the "Fingal's Cave" ("Hebrides") Overture. It is curious but, in the last years of his life, Wagner, in spite of his ideas about jew music, recognized the value of Mendelssohn, in special the Hebrides ouverture. To get Mendelssohn, one ought to listen to his 3rd (Scottish) Symphony twice a day for two weeks. Although numbered the 3rd, it is in fact his 5th mature (final) symphony. And therein lies all of his mature idioms. If that doesn't work, I'm afraid Mendelssohn is just not for you. I agree that the 3rd is Mendelsohn's best Symphony. But listen to it twice a day for two weeks? I think that in the end I would hate Mendelssohn, the 3rd Symphony and Scotland. In order to "get" any composer a varied selection from several forms are required. The "Schottische" is a good example, but the a minor String Quartet, the Oktet, the Violin Concerto and portions of either/both oratorios, "Paulus" or "Elijah" contain even deeper-felt emotions and the real soul of this master. Jack Kelso wrote: In order to "get" any composer a varied selection from several forms are required. The "Schottische" is a good example, but the a minor String Quartet, the Oktet, the Violin Concerto and portions of either/both oratorios, "Paulus" or "Elijah" contain even deeper-felt emotions and the real soul of this master. Surely, you guys know that I was exaggerating. I live in Texas, and Texans are allowed to exaggerate! You seem to be concluding that because Haydn is crediting with inventing the symphony, he never figured out how to use it like Mozart did. Do consider that Haydn lived more than twice as long as Mozart. So he had a lot of time to "get it right." Do try listening to any of Haydn's last 20 symphonies if you haven't yet -- I think they're a great introduction to his music. As Charles Rosen wrote of music-lovers approx. 200 years ago, "The more perceptive simply placed [Beethoven] on a level with Haydn and Mozart." Regarding Haydn once being quite popular, Rosen said: "Today, when Haydn is almost a connoisseur's composer whose music cannot compete at the box office with that of Mozart and Beethoven, this atmosphere of enormous popular success must be borne in mind in order to understand the late works, above all the symphonies and the oratorios. There have been composers who were as much admired and others whose tunes were as much whistled and sung during their lifetimes, but none who so completely won at the same time the unquestioned and generous respect of the musical community and the ungrudging acclaim of the public." ichiro wrote: I remeber not warming to the Italian that much, but after a while, I realised how easy and relaxing and beautiful it is, even if its not one of the greatest symphonies. Hey, Dan! Welcome to the board. Have you ever seen Breaking Away? Next time you have an hour or two to spare in your busy student's life, pick it up from the video store. I think you'll like it. I suppose the key to understanding Mendelssohn's stature among Germanic composers would be in likening it to Saint-Saens' stature among French composers.....in fact, one writer of music-appreciation-for-the-layman said that Saint-Saens was "the French Mendelssohn: he never lived up to his real potential." To which I say, HOGWASH. What's there to reprimand in a composer who doesn't utter deep sublimities or who seeks to make some certain kind of STATEMENT? Any composer who (as they did) wrote music of easy grace, charm, and appeal--and who had an incomparable way with a melody--is still all right in my book. And they were both PROLIFIC composers. Wallingford wrote: .....in fact, one writer of music-appreciation-for-the-layman said that Saint-Saens was "the French Mendelssohn: he never lived up to his real potential. ".....Any composer who (as they did) wrote music of easy grace, charm, and appeal--and who had an incomparable way with a melody--is still all right in my book. While I see (and hear) the comparison of Mendelssohn and Saint-Saens, I also view the comparison as a bit unfair to the former, who possessed a great deal more depth and displayed a far wider emotional range than did the Frenchman---who, in honest modesty, never attempted to overrated his own music. Another musical commentator, with perhaps more wit, saw Camille Saint-Saens as "the greatest of all composers who did not achieve greatness." By the way, just this morning on German radio I heard Saint-Saens 2nd Piano Concerto. A charmer! Sir Thomas Beecham--who conducted St-Saens' music frequently--did not mean it as an insult when he said that "Saint-Saens was the greatest writer of second-rate music who ever lived." Thanks to the many good suggestions in this thread, I am currently reevaluating Mendelssohn's music, listening more carefully than I have in years. Based on recent hearings of the String Quartets (Emerson Quartet) and the Piano Trios (new recording by The Florestan Trio), I may have to eat my words in the initial post and swallow them whole. I know what you mean, Frank. His 3 sonatas for Violin and Piano really hit me a few years ago, and I went through all my recordings again with a new respect. Wallingford, I agree with your earlier post about Mendelssohn's excellent piano music! I haven't heard his organ music, but I'd like to get acquainted. Mendelssohn's piano music was composed in the typical fluid style of the time. Clara (Wieck) Schumann's composing style is very similar and both are indebted to Hummel, Field and Weber. Only Chopin and Schumann broke with this early Romantic salon approach, both freely using dissonances and extreme rhythmic variations. Schumann has, in fact, been accused of "destroying rhythm". What a delicious insult! He would have worn that proudly. Schumann has, in fact, been accused of "destroying rhythm". Really? I never noticed that, although Chopin's boldness is unmistakable. What Schumann piano works exemplify his inventiveness that you can recommend? I am only familiar with the basics such as Kinderszenen, Carnaval, Album for the Young, the Concerto, etc. all of which I find incredibly charming. But none of them strike me as very groundbreaking (I can't put myself in early 19th century shoes). Thanks.